Emily was nervous as she entered the classroom. She knew that I would not allow her to be a passive observer, but front and center in the crucible. I turned to greet the other folks streaming in. “I would like everyone to meet Emily. She has an interesting problem at work. With our help, she is going to walk us through some solutions.” Emily looked at me sideways. It would take her a bit to trust this group. Up at the front, Emily stood. “I really don’t know what kind of problem I have,” she started. “Our manufacturing line is not meeting its daily quota and the reject rate is at 11 percent.” Emily continued to describe the circumstances, considering morale, motivation and working conditions. Then the questions came from the group. Randy dragged a chair up front for Emily to sit. We were going to be there a while. This entry was posted in Uncategorized and tagged capability, competence on November 1, 2017 by Tom Foster. It was early. Early, meaning we were the only two people on the plant floor. Emily drew a flow chart of how materials were received, then assembled and carted off to QC for inspection. She defended the competence of her workers in the assembly process. Emily searched in her mind for a better answer, but she couldn’t find one. “No,” she replied. “So, what should I do?” Emily asked. This entry was posted in Competence and tagged capability, competence on October 30, 2017 by Tom Foster. “You said, the problem was reject rates. Yes, your team is competent at the task, but not competent at accuracy and speed,” I explained. “I used to work in an accounting firm. When I started, I thought I was great at adding up numbers. And I was. I was extremely competent at adding numbers (after all, I did manage to graduate from second grade). But I was incompetent at accuracy and speed. “Never in my life, was I taught to error-check a column of numbers by adding the column twice and comparing the totals. That practice never occurred to me. And if it had occurred, I would have immediately concluded that it would take twice the time to add the numbers twice. Logic told me so. “I had to learn a new skill. I had to become competent at using an adding machine without looking. I never did it before, because I couldn’t. “Before, I would add numbers up with an occasional mistake. Now, I add them up twice in less time, virtually error-free. This entry was posted in Competence and tagged capability, competence on October 27, 2017 by Tom Foster. I was getting major push-back from Emily. She appreciated the logic, but, still, there was an internal struggle. “My guys on the line have been putting these units together for years. They have the experience. They are competent at the assembly,” she said. “Then what are you dissatisfied with?” I asked. “Oh, absolutely. Don’t even go there,” she cried. “Then, let me go farther and substitute a word for incompetence. Much failure is caused by stupidity.” I stopped. “We don’t talk much about stupidity in the workplace. The reason we don’t talk much about stupidity, as the cause of failure, is that, as managers, we don’t know how to fix stupidity. So we try to fix all kinds of other things. We speed up the line, we slow down the line, we change the temperature. But we never address the real problem, stupidity.” I could see Emily’s eyes grow wide. This entry was posted in Competence and tagged capability, competence on October 25, 2017 by Tom Foster. “Fear drives a lot of behavior. It is a very powerful emotion and prevents us from much achievement. But competence trumps fear. That is why competence is a critical link in success. This entry was posted in Competence and tagged capability, competence on October 23, 2017 by Tom Foster. Why Does a Manager Manage? Emily knew there was a very specific answer to this question, so she waited. “They all do those things because they can. They spent great periods of their life creating habits to support the skills that drive them to the top. They reach high levels of competence because they practiced, tried and failed, got better and practiced some more, with a discipline to master those skills. They perform at a high level because they can. The people who did not master those skills, who were not competent, were eliminated in the first round. This entry was posted in Competence and tagged capability, competence on October 20, 2017 by Tom Foster. “But habits can help and habits can kill,” I said. “Yes, they do and like many things, your greatest strength can also be your greatest weakness.” I could see Muriel’s face scrunch up, mixed in resistance and curiosity. This entry was posted in Fitness, Learning and tagged competence, habits, learning, skill development on May 15, 2017 by Tom Foster. “If habits are connected to competence, why is that so important?” I asked. “Sometimes, when I am faced with a problem, especially a new problem, that is difficult to solve,” Muriel was thinking out loud. “Competence is the ability to bring my thinking and resources to the problem quickly. Not just quickly, but easily. Almost like an instinct. Only I know it’s not instinct, because it is something I learned and had to practice,” she replied. “Give me an example,” I said, looking for clarity. “Okay, planning. As a manager, I know it is very tempting, when faced with a problem, to just jump in and solve it, dictate a course of action and move on. What I found was, that whenever I did that, I would fail to notice some critical element, misdirect my people and end up with my team losing its confidence in me. “It took me a while to learn that I needed to slow down, get to the root cause of the problem, then create a plan. It was painful, in the beginning, because planning was not me. “I would have to stop everything, clear the decks, drag out my books on planning. It was excruciating, worse, it took too long. Sometimes we would miss a deadline because the process took too long. It was difficult not to go back, jump in, dictate a course and move on, even if it was in the wrong direction. “It was only when I committed the planning model to memory, that things began to change. Once I had it in my head, I could access the steps without having to look them up in my book. I began to break down every problem this way. Planning became quicker and quicker. Better yet, I was able to involve my team in creating the solution by using the steps. We seldom overlooked critical items. The best part was that everyone was on-board when we finished planning. 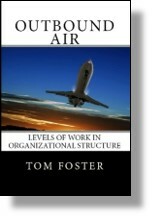 This entry was posted in Planning Skills and tagged competence, planning, skill on May 12, 2017 by Tom Foster. “How are habits connected to competence?” I asked. Muriel looked at me and remembered. It was a short trip down memory lane. “When I first became a manager,” she started, “I was awful. I thought I was such a hot shot, walking around telling everyone what to do. Within a couple of weeks, productivity in my department was at an all time low, and I couldn’t figure it out. “So, describe the competence connected to the habit?” I pressed. This entry was posted in Fitness, Leadership and tagged competence, habits, perfect practice, practice on May 10, 2017 by Tom Foster.